Medical errors are a leading cause of death and injury nationwide. According to an article in The Journal of the American Medical Association (JAMA) (Vol 284, No 4, July 26th 2000) by Barbara Starfield, M.D., M.P.H., of the Johns Hopkins School of Hygiene and Public Health, medical errors may be the third leading cause of death in the United States. Medical malpractice includes errors by a physician, a member of a hospital staff or other health care provider that occurs in a medical setting and results in injury to the patient. Malpractice may occur when a practitioner breaches the standard of care recognized and accepted by other practitioners in the same field. A critical component of a successful malpractice claim is determining the accepted standard of care, whether that standard was followed and, if not, whether failure to follow that standard caused the injury. The health care provider may fail to make a diagnosis or do so in a reasonable amount of time. This may result in a delay of treatment. Malpractice suits involving the misdiagnosis of breast cancer, lung cancer, colorectal cancer, and heart attacks most commonly lead to the highest monetary awards. A delay in diagnosis or the mismanagement of diagnostic testing often leads to severe complications or death. A patient may have a viable malpractice case if there was a lack of informed consent. The patient should have an appreciation and understanding of the facts, be capable of reasoning and understand the implications of an action. Therefore an individual that is mentally disabled, mentally ill or has impaired judgment may not be capable of giving informed consent. Failure to monitor or observe the patient may lead to patient harm. Critical observation of the patient may be required after surgery or in an intensive care unit. 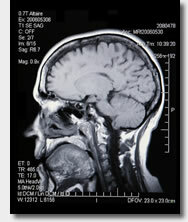 If critical signs and symptoms are not recognized or ignored the patient may suffer. Improper performance of surgery or a procedure may lead to harm. There are specific risks that are known and associated with virtually any surgery or procedure. Normal and foreseeable complications can and do occur, even when performed by the most skillful of surgeons, and they are not the result of malpractice. However, situations can arise where errors occur during a surgery or a procedure that are neither normal nor foreseeable and which may constitute malpractice. Additionally there are other acts or omissions that may lead to malpractice including failure to perform necessary tests or evaluate their results, failure to prescribe proper medications, medication errors and failure to consult specialists. In order to file a medical malpractice suit there are many regulations and guidelines that must be followed. Prevailing in such cases may be a complex and lengthy process. The malpractice must be proved as opposed to a medical error or other adverse event that may not be considered negligence or malpractice. The statute of limitations is a legal term regarding a time limit that restricts when an individual can initiate a lawsuit. The length of the statute of limitations depends on the state (or country) in which the individual lives or the state in which the individual could initiate the lawsuit. The period for filing a suit may start when the patient is injured or when they know or reasonably should know that they have been injured. Medical malpractice cases allow patients who have suffered as a result of negligence the opportunity to recover financial losses and damages. If liability can be established, then the patient is entitled to damages, which can include compensation for medical bills, lost wages as well as pain and suffering. The damages may cover losses the patient has already suffered as well as future losses. Damages vary widely depending on each individual's situation. Many states have placed limits on non-economic damages in medical malpractice cases. In addition to compensating the patient in a medical malpractice case, these cases may help to address problems within the health care community.